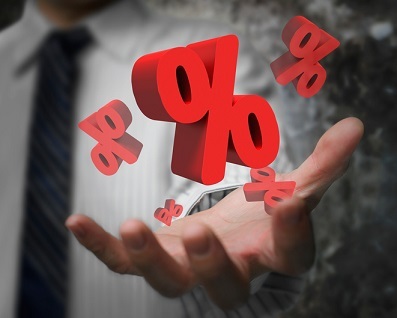 Mortgage rates were up for the second consecutive week this week – and originators should expect that upward trajectory to continue as the Fed keeps raising the benchmark rate, according to Freddie Mac. The Federal Reserve fulfilled market expectations by raising the federal funds rate by a quarter of a percent this week – only the third time in a decade the rate has been raised. However, Fed officials had signaled their intentions leading up to the agency’s meeting this week – so clearly, in fact, that market expectations of a March rate hike shot from only around 30% to 80% in advance of the meeting. Those expectations drove mortgage rates up even before the Fed made its benchmark rate hike official, according to Sean Becketti, chief economist for Freddie Mac. The 15-year fixed-rate mortgage also rose this week, with its average rate spiking to 3.50% from last week’s 3.42%. And the 5-year Treasury-indexed hybrid adjustable-rate mortgage rose from 3.23% to 3.28%. Becketti said that with the economy finally strong enough for the Fed to implement its plan of regular, gradual increases to the benchmark interest rate, originators should expect mortgage rates to keep rising in the near future. “Increasing inflation, continued gains in the labor market and the Fed's intentions for further rate increases – all three will keep pushing mortgage rates up this year,” he said.